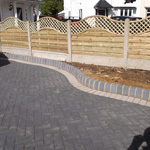 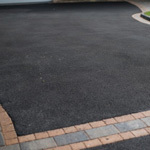 A stunning alternative to a block paved or tarmac driveway. 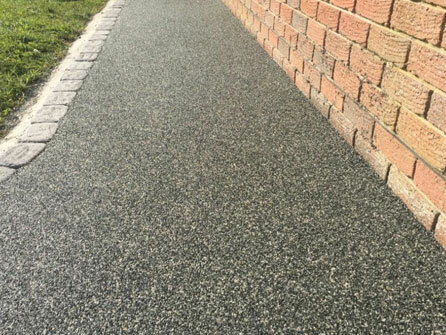 Unlike tarmac that only comes in standard black or red, a resinbound driveway has endless combinations of colours to choose from. 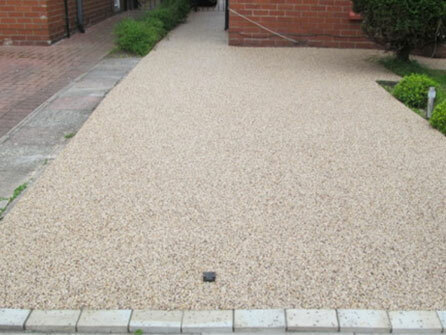 Mixing a few colours together can create a really modern look for your property. 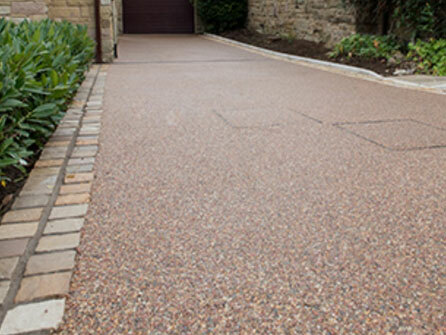 Patterns and designs can be incorporated into the design to make your driveway as unique as you are. 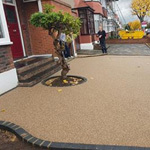 If simplicity is what you are looking for then why not opt for just one natural colour that will offer a clean fresh look with a flawless finish. 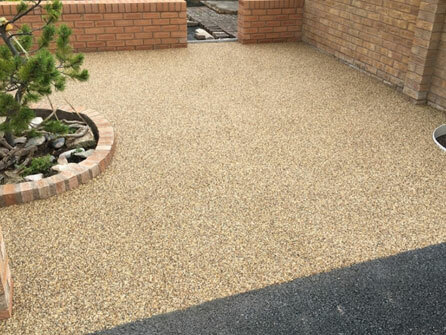 Aggregates need to be chosen for their shape and size but our team with over 15 year’s experience can help you decide what type of look would best suit your property. 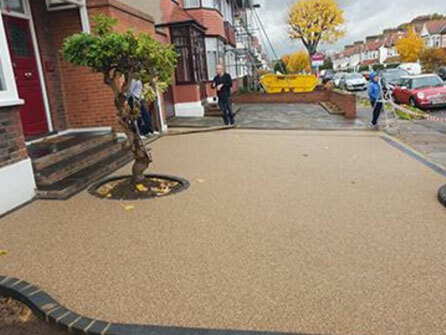 Resinbound is also perfect for other applications such as patios, pathways, tree pits and children´s play areas. 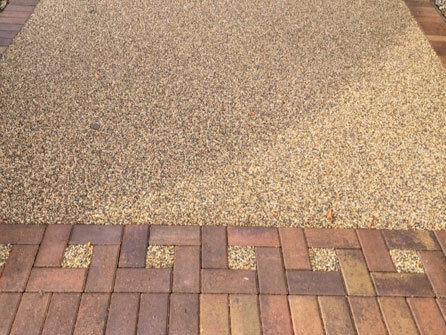 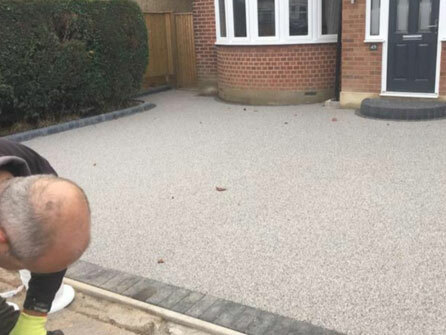 Our team will be more than happy to discuss your requirements and show you recently completed resinbound driveways in your area, so you can decide whether this superb building material is for you or not. 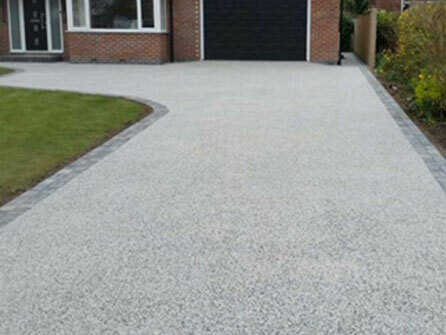 All resinbound driveways are fully guaranteed and come with a no obligation quotation which has a 14 day cooling off period for your peace of mind. 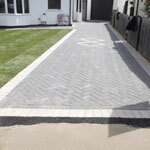 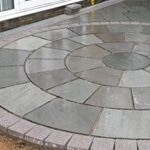 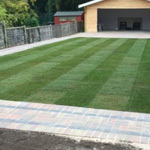 So, for the installation of a different kind of driveways, call in the expert help of our team at Greenway Paving & Landscapes Ltd today on either the Hertfordshire, Essex or London numbers at the top of the page, we look forward to discussing your requirements with you.